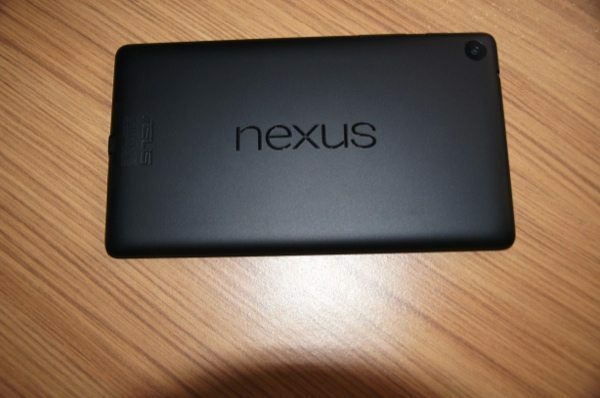 There are often times when we are offered a product to review that does not appeal to us, although this was not the case with the 2013 Nexus 7 model (often referred as the Nexus 7 2). With the huge amount of hype that surrounded the new tablet from ASUS in the summer, we were more than happy to see what all the fuss was about, and so we look forward to offering our very own opinion. The first thing that we have to discuss first is the packaging, as we love how it is understated, something we see a lot of with tablets and smartphones because of them being made from paper or card. 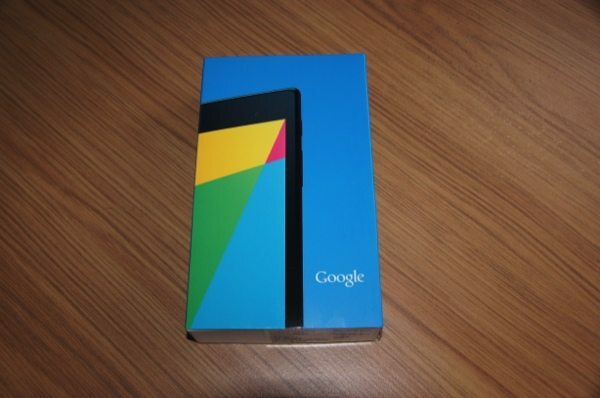 You have a sleeve that shows an image of the new Nexus 7, which slides off to reveal a white box. It is this that holds the tablet and its paraphernalia. You need to be careful when taking the lid off the box because the tablet is right there staring at you, with no protection. Removing it was awkward, and so placing your hand over the device and then tipping the box was the easiest solution. 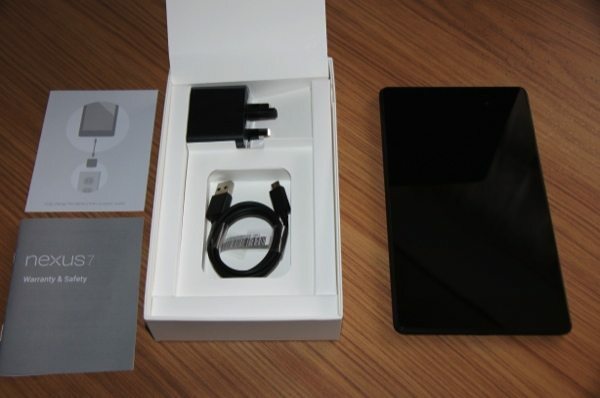 In the box – Firstly, there is the new Nexus 7 2013 model, the USB wall charger and cable, and a warranty and safety booklet. What’s changed? Having used the new Nexus 7 for around a week it is clear there is a lot to love, but also things to hate, although the former does win that fight. The new screen is gorgeous with its 1920 x 1200 resolution, and so everything looks amazing on it. The difference when compared to its predecessor was noticed immediately. The colors are bright and rich and watching HD videos is a real pleasure. Sticking with the screen, pictures are crisp, and we noticed no pixilation with text – something that is a bit of an issue for the current iPad mini. 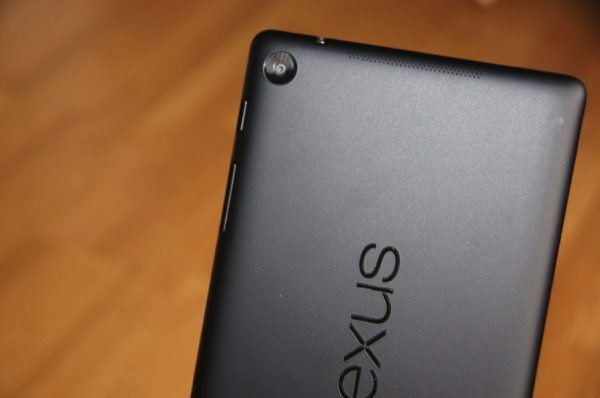 This is not the thinnest tablet on the market, but then the quality of the display does dictate the design of the new Nexus 7. However, it is still one of the best looking tablets on the market, but ASUS has managed to make it feel thinner than it is. 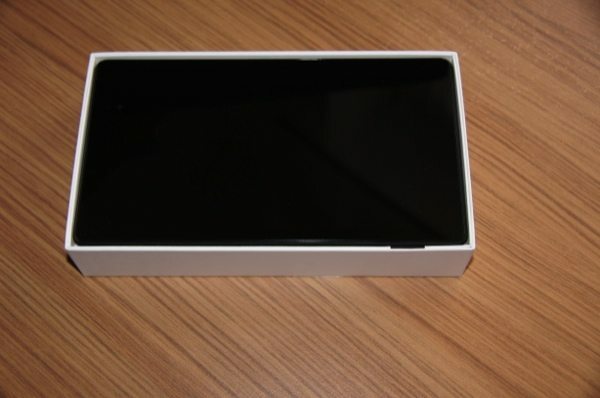 The thin bevels on the side reminds us a lot of the iPad mini, and seems to be popular with tablet makers, as the iPad 5 is expected to follow this new design philosophy. 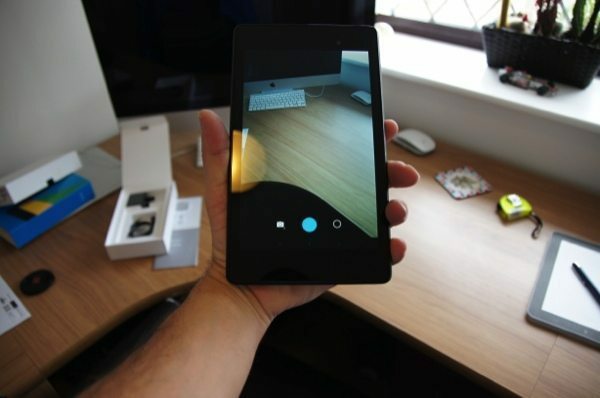 We’ve always had issues with people using their tablet to take pictures while out and about, as we know the image quality is not like a smartphone, and also the fact you look like an idiot holding up such a big device to get that shot. However, if you enjoy taking pictures, then the new 5-megapixel camera to the rear and a 1.2-megaixel on the front will offer reasonable quality while taking a video call. We were just glad to have a rear-facing camera on the newer model. 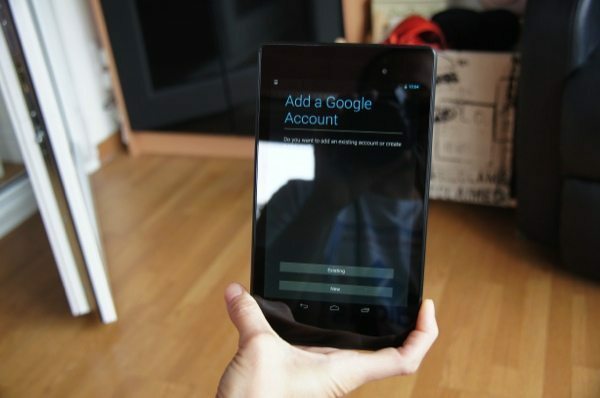 2013 Nexus 7 performance – The new Nexus tablet from ASUS is really fast running applications, which is thanks to the 1.5GHz Snapdragon S4 Pro. There was no hint of lag, but then the 2GB of RAM and Android Jelly Bean 4.3 helped with that. There is always a concern when playing a memory intensive game on a tablet, but there is no need to worry with the Nexus 7 2, as things ran very smoothly. It is great having a tablet that can play great quality videos and run games with no issues, but having a decent sound to help complement this is so important. 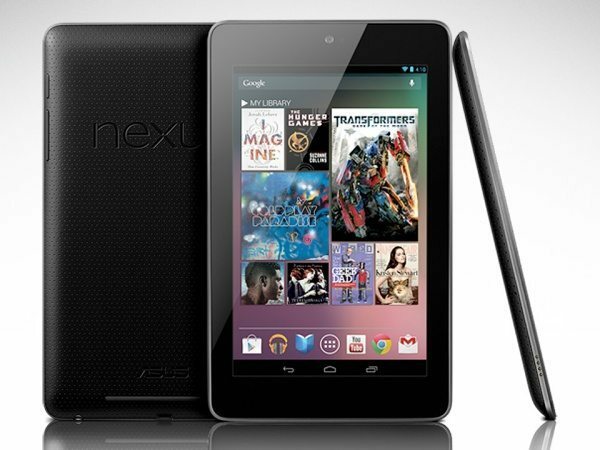 If this is important to you, then you are going to love the 2013 Nexus 7 audio quality, as it sounds genuinely good. With our week of testing we got to customize the tablet just how we liked, this is because it has a naked version of Android. This also means no bloatware, which is another reason why the new Nexus 7 runs as smooth as butter. You also have more storage because we all know how much bloatware and a custom UI takes up. 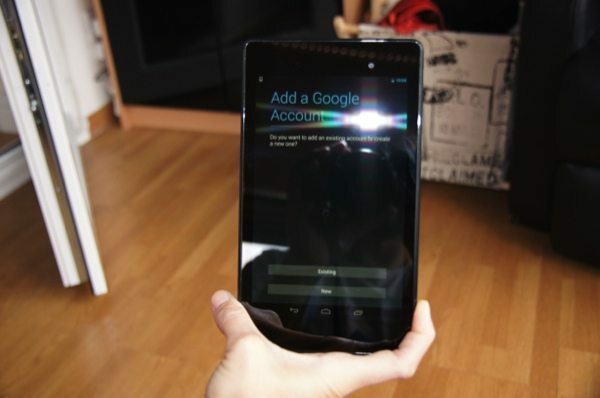 Useful feature – One of the most useful features of the new 2013 Nexus 7 model is wireless charging. We would have liked to have reviewed this for you, but we were not sent a wireless charger and do not have one of our own. 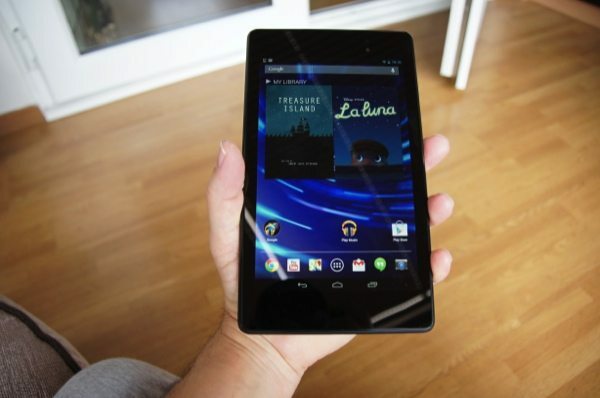 However, this one feature makes it stand out against the competition, such as the new Amazon Kindle Fire HDX 7. A few concerns – We do love this new tablet from ASUS, but there were a few issues along the way. We had some issues with the Wi-Fi, as it would often struggle to connect to a Wi-Fi signal. Once we were on there were no issues with browsing the Internet. There was a software update, but we were still having one or two issues. This was one of the reasons why people could go for the HDX 7 instead. Another issue that we did not like was how thick the bezels were on the top and bottom, which is strange because they are so thin on the sides. We cannot be certain why this is, but maybe it is because it allows you to put your hands there while playing games without the fear of touching the screen and selecting something you should not? 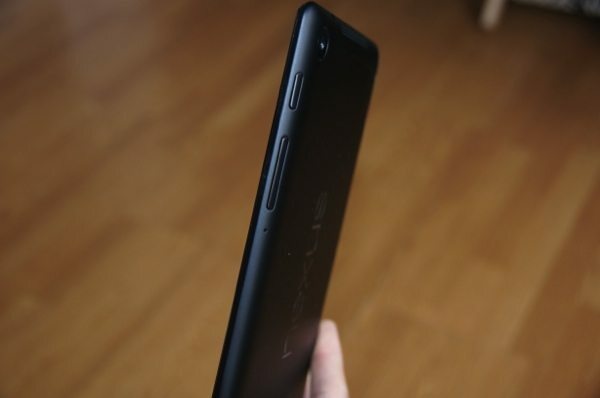 Overall impressions – We loved everything about the Nexus 7 2 (apart from those two issues), the design is gorgeous, it feels lighter than it looks and the overall performance and display quality is right up there with the best of them. If you have the older Nexus 7, then you might not want to make the upgrade, but we believe this would be a foolish decision. 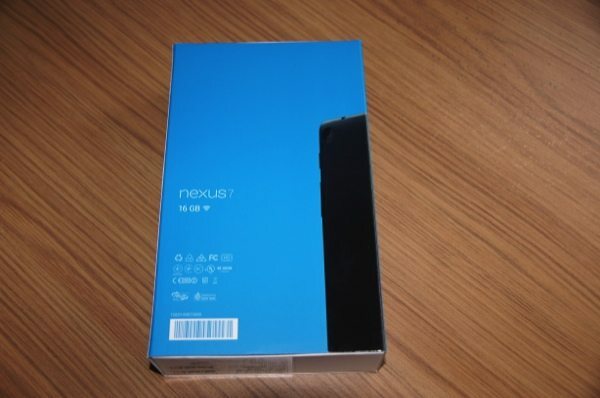 The model we had was the 16GB version, which can be purchased from Ebuyer for a price of £199.